This project was so fun! I love owls and instantly thought of a smarty owl when I got the new Peachy Keen face set called Winter Wonderland Faces 1-1/8" (PK-483). Check it out HERE. Once again, I got to use an Action Wobble Spring to attach the head. These are so fun! PKS has the springs in stock HERE. Let's Face it Friday Challenge #23 was to create a teacher gift featuring a PKS face set. Check out the other great project ideas at the challenge site HERE. Instructions for my project are below the picture. I have the Snowmany Faces 1-1/8" Face set to give away! For a chance to win, all you have to do is take a moment to check out the newest release of PKS stamps HERE (towards the top of page). Then, leave a comment mentioning one other stamp set besides the Winter Wonderland or Snowmany Faces (this way I know you visited). On Monday morning, I will randomly select a winner. If you do not have an email on your profile, please make sure to check back to see if you won! For the glasses, first punch a hole in black cardstock using the 1/2" circle. Line up the 3/4" circle over the punched hole to create a ring shape. Punch 2 of these. Punch or cut a small piece of black for the bridge on the glasses (I used the retired slot punch). Sponge the edges of all crumb cake and very vanilla pieces with crumb cake ink. Sponge edges of soft suede pieces with early espresso ink. Sponge edges of peach parfait pieces with cajun craze ink. Stamp the bird face from Winter Wonderland Faces 1-1/8" (PK-483) with black ink on the 1-3/4" circle. Color the whites and highlights of the eyes with a uniball white gel pen. Stipple or sponge regal rose ink onto the cheeks (I love the cheek chalk brushes from PKS. details HERE). Glue the glasses onto face. Attach one of the small hearts with a dimensional over the stamped beak (or color the beak instead). Glue the medium petals onto top of head to create "tufted horns"
For the body, first glue the crumb cake petals onto bottom of 2-1/2" circle for legs. Glue soft suede wings onto each side. Glue 2 hearts together to form each foot. Glue feet onto bottom of legs. Layer the vanilla petals onto the chest. Starting at the bottom, layer one on each side and then place one in the middle. Place another 3 above those and then the last 3 above those. The tops of the petals in the top row will go above the body circle. Attach head to body with an Action Wobble Spring. You can buy them from PKS. Details are HERE. An alternate is to attach with a dimensional. For the treat box, I filled a small gusset bag with Werthers caramel candies and tied the top closed with a striped grosgrain ribbon. Create a small box bottom by measuring the width and depth of the filled bag and add 2 inches to both dimensions. Cut the designer paper or card stock and then score at 1" on each side. Clip on the 2 score lines on 2 ends and then fold the tabs up and glue in place to form a box bottom. Use sticky strip to attach gusset bag into bottom of box. Make a tag to tie onto the top of bag. Skunk Cheer up, is the cutest!!~! 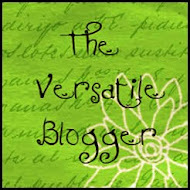 Your blog in such an inspiration!!! I just love this Owl, he looks so studious! I visited Peachy Keen and I just love all of the new sets, especially the PK-334 Lauri loves Skip, perfect for a holiday card. This is adorable! I love all the face stamps, but I think the Cute and Cuddly is the best. I like the Karaoke Birthday set, but then I like them all. And your owl with the glasses is totally adorable! Would love to make that for my friend who teaches college English. I love the Gingerbread Dolls set and I love your blog. So many ideas....so little time! Thanks for all you do. Another winner! 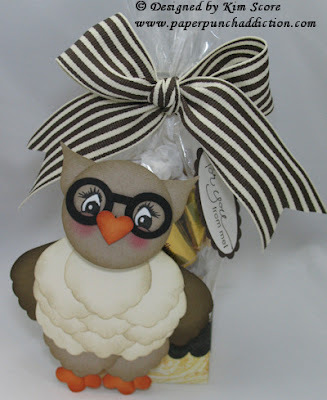 I love the Smarty Owl - you are so creative! I checked out the stamp sets and I love the Gingerbread Dolls! So cute! Wishing you a great weekend! Thank you for the wonderful tutorial! Loving this Owl!! Thanks for sharing. The new Christmas Heads are cute!! LOL so cute..... The Hillbilly Holler ones caught my attention!!! this owl is so cute..i love the PK-335 Christmas Heads stamp set. this could be used for gift tags etc. Love the owl...thanks for sharing the instructions...he is absolutely darling! Love the Peachy Keen website and when I got on, I fell head over heels with the Gingerbread Dolls and then the Lauri loves Skip faceless elves...how fun!!! Thank you for offering candy for us to win. I love the face collection that I have been using for a few months and need to broaden my stash. Thanks again and have a great long weekend! I'm really liking Lauri loves Skip. My list for PK stamps is so long it would make Santa cringe. 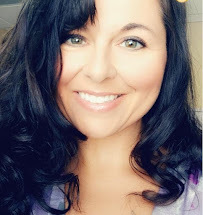 I should be ashamed of myself for not telling you more how much I appreciate your daily posts. I have gotten so many,many ideas right here from your site. Thank you! Oh these two sets are really cute. I also like the gingerbread boy and girl set. Whooo likes this Owl? I do! Visited the PK site and another stamp set is PK-440 Cute and Cuddly Face Assortment. I have a couple of PK sets. What a cute owl! Makes me smile. I just noticed the large gingerBread dolls they are the first ones listed. thanks for the tut on the owl. Super cute owl! Thank you for the instructions! Such a cute owl. I love all those stamps and really, really like the Christmas Heads. 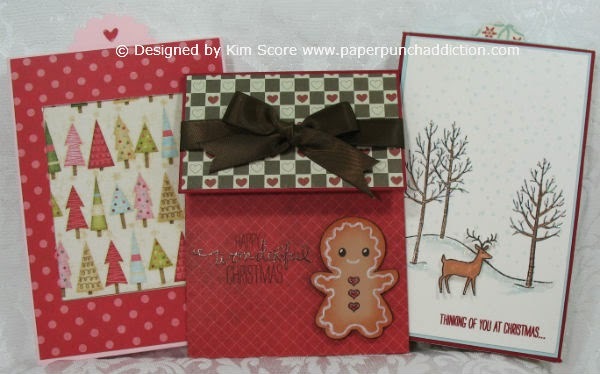 Ok, for the blog candy, I love the gingerbread dolls and the sampler pack that has the cute little skunk cheer up in it! Cuz I love the skunk cheer up set further down. For your owl....wow I love it! Love love love how you used the blossom petal punch to make fluffy breast feathers! Awesome! The faces are so cute and I want them all. Love the Cute and Cuddly and the cow ones (oh darn, what were they called) How does one decide which ones to get! All you cards are great but I really enjoyed this owl! Visited the PK site and I like the gingerbread dolls and the hillybilly holler sets. Thanks for the chance to win CANDY. Kim, your owl is darling! I love the eyeglasses and his ruffly feathers!! Great job! That is the cutest owl ever! I just got the wide eyed kid set. I haven't really tried it much yet. Hi Kim, you create some amazing pieces! I love the carrot faces...too cute. The gingerbread items are adorable too. I'm curious to know what the large set is...like a table decoration? Your owl is so adorable! Awesome job. I too love the PKS brushes for the cheeks. They work so well to add just the right touch. I love Lori & Skip as one of the newer releases. Love this project, thanks for the tutorial!! I always check PK out, you've turned me into a PK addict! A couple of sets I saw today were: Sampler Package of Faces and Hillbilly Holler Set 5. This owl is the cutest. Where do you come up with these ideas? My favorite new release is the PK 335 Christmas Heads. These would be with so many of the PK faces. Awesome owl and I just love to see someone using Peachy Keen stamps. That was the first online order I ever placed and I still use those faces. And the cute snowman that I have. He's hugging the ground in sheer joy because of the snow. The gingerbread doll set is adorable! I love so many of the PKS sets though. Thanks for the chance to win. Your owl is simply awesome! Absolutely want to try it. Thanks for sharing. Love the PKS Christmas Heads. Love the owl. Thanks for the post several days ago recommending certain PKS face stamps. I checked them out and have placed my 1st Peachy Keen order. Can't wait to get it! I particularly like the Cute & Cuddly sets. Keep up the good work -- it is much appreciated!! That is a super owl! Terrific Owl!! I Love it!! And speaking of "LOVE".....I am totally wanting the Cute and Cuddly Face assortment Stamp set by PKS! Too CUTE!! Absolutely ADORABLE owl you've created! I love it, especially with its' adorable PKS face! I do love the Winter Wonderland and Snowmany faces, but I would love to try out the Christmas Head stamps as well - I think they would make really cool and unique Christmas ornaments and tags! 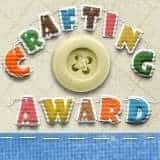 Thank you for sharing your project and the fun giveaway! oh my gosh Kim this is the cutest i have seen....LOVE IT!! i love the Hillbillie Holler Set One so much on the peachykeen site, i have to get it!! Those are adorable Kim. I always visit for inspiration and I ended up with a ton today. Thanks I love your Blog!!!! Love owls and this one is soooo cute. I think the Laura Loves Skip Faceless Elves is adorable but so are all the others. Thanks for showing the way to PKS. Well, I may be too late for blog candy, but I did want to tell you that the scrapbook pages are lovely! Also, I know you said not to mention "snowmany kids" as a fave, but it is! I would say wide-eyed kids is adorable as well, but I have such a weakness for snowmen! Love the adorable gingerbread kids kit too! Your owl is super cute! Love the set you used for it but Cute and Cuddly is sweet, too.